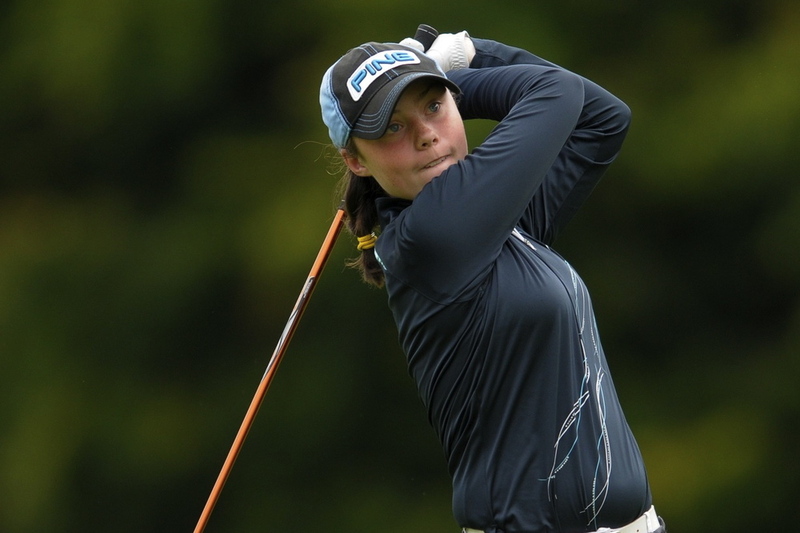 Lisa, last year’s European Amateur champion, won of two points out of three alonside her sister when they became the youngest ever Curtis Cup debutants at the age of 15 in Boston last year. It would be interesting to her the selectors’ arguments for leaving her out of the side, considering the fact that she forms a formidable partnership with her sister and at 58th, holds a higher world ranking than three of the players selected ahead of her - Pamela Pretswell (62nd), Kelly Tidy (109th) and Bronte Law (225th). The world rankings are not the ideal yardstick in this case but they are an reasonable barometer of form and yesterday’s team announcement merely adds more the ridule that the LGU selectors have heaped upon themselves in recent weeks, even if they did make her first reserve. World No 7 Hull as included in the team despite threats from the LGU not to consider her for selection because she missed a “compulsory” squad session last week so she could prepare for an appearance in this week’s Kraft Nabisco championship on the LPGA Tour. The English girl made herself unavailable for selection and yet she was picked anyway by the independent selection panel. One wonders how much the ILGU’s decision not to make any Irish players available for last year’s Astor Trophy has had to do with all of this. Following that controversy, the LGU selectors also ommitted Lisa Maguire from the Vagliano Trophy side in what appeared to be a fit of pique. Amy Boulden (18) Conwy GC; Holly Clyburn (20) Woodhall Spa GC; Charley Hull (16) Woburn GC;Bronte Law 17 Bramhall GC; Leona Maguire (17) Slieve Russell GC; Stephanie Meadow (20) Royal Portrush GC; Pamela Pretswell (22) Bothwell Castle GC; Kelly Tidy (20) Royal Birkdale GC; Team Captain: Tegwen Matthews ( Wales). Team Manager: Anna Hubbard (Wales). Reserves: 1 Lisa Maguire (17) Slieve Russell GC, 2 Georgia Hall (15) Remedy Oak GC; 3 Becky Harries (23) (Haverfordwest GC, 4 Kelsey MacDonald (21) Nairn Dunbar GC. 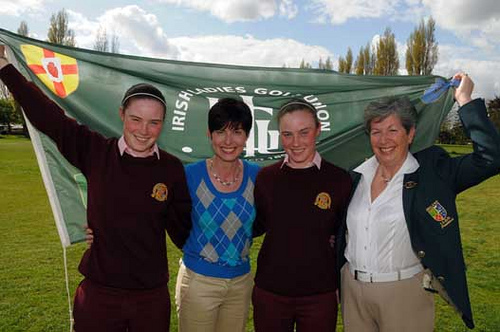 Teenage twins Leona and Lisa Maguire (14) have been included in the squad for Britain and Ireland's Curtis Cup match against the United States in Massachusetts next June. Stephanie Meadow celebrates her winning point at Nairn. Picture courtesy USGA/Matthew HarrisRoyal Portrush’s Stephanie Meadow scored the winning point as Great Britain and Ireland captured five of Sunday’s eight singles to win the Curtis Cup 10.5-9.5 at Nairn.